Microsoft Dynamics CRM helps reduce costs and increase profitability by organizing and automating business processes that nurture customer satisfaction and loyalty. 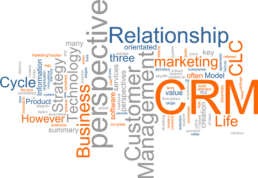 Customer relationship management (CRM) delivers a holistic view of each customer that enables client-facing employees to make expedited and educated decisions about strategic efforts in the sales, marketing, and customer service fields. CRM is available On Premises and On Demand as well.